Recently I watched a video from Michael Pollan where he is discussing his new book called "Cooked", and one of his statements really stuck with me...and I paraphrase... What mattered most, more than nutrients or calories consumed when talking about a healthy diet and the health of someone is the fact that the food they ate was cooked by a human being and not a company. (I highly recommend you watch the whole video, here) He also talks about how food companies will cook with more fat, sugar and salt than you ever would in your own kitchen, but they do so in such a way that you become addicted to their food. The bottom line is that food companies don't care about your health, they care about making you addicted to their food so you keep coming back and spend your money with them. This includes fast food companies and processed food companies alike. They spend so much money on "food" chemistry to get the formula just right so you become addicted. It's no accident that "once you pop, you can't stop"! If you are eating fast food and processed food chances are that you are addicted to these foods and will continue to crave them until you decide to take them out of your diet. Before I move on I want to make one last point about sugar. 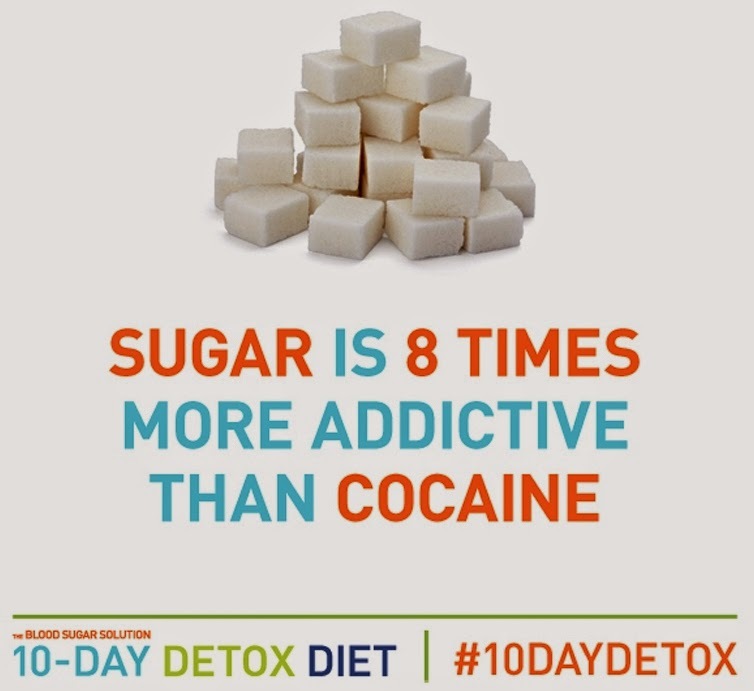 Recently I read a book by Dr. Mark Hyman called, "The 10 Day Detox" in which he discusses how it is not your fault you are addicted to these foods and mostly sugar. He notes there have been studies conducted that show the pleasure center of the brain of lab rats when they eat sugar and when they are given cocaine. It was found that sugar is 8 times more addictive than cocaine and when given the choice the rats always chose the sugar! No wonder you are addicted...it is a chemical response in your brain, and you are set up to crave more and more. To be clear I did not do the 10 Day Detox because I started eating Paleo, however they are very similar in that they cut out foods that cause addiction. I found for me 3 weeks was the magic number! I do think that it is a great starting point for anyone addicted to sugar. So what is next? Get in the kitchen and start cooking! You don't have to be a gourmet chef to cook your own meals. I am not a wonderful cook, but I know the basics and started there. My husband and my mom are both actually a really great cooks and much of what I learned I learned from them. If you don't have someone to teach you their ways use the internet to find healthy recipes, Pinterest is a great resource. Try to find a healthy cooking class in your area to take a few lessons to learn the basics. When I cook now, I choose my proteins and veggies and get to work. For example last night I made turkey burgers, zucchini "pasta", pork chops, Brussels sprouts, and sweet potatoes. This makes enough for my hubby and I to have for a few days. It is nothing revolutionary, but they are all whole real foods that fuel my body. 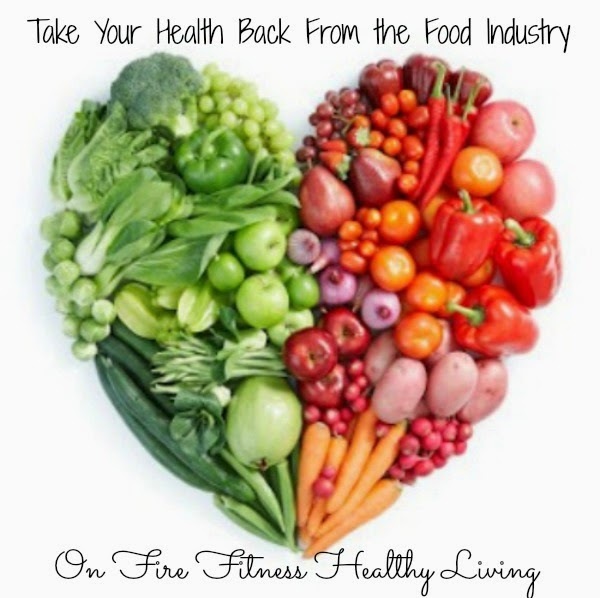 Now it is your turn to take back your health from the food industry. Buy, cook and eat whole real foods. You will be amazed how much better you feel when you make the powerful decision to stop eating foods that are made in a lab and how quickly the cravings and addictions dissipate and eventually disappear. Trust me when I tell you that I used to be addicted to sugar in any form I could get it, I was even addicted to white processed foods as well, I can honestly say I no longer crave or am even tempted by these foods. I know that I am creating a healthy body and a healthy mind when I fuel up with WHOLE REAL FOOD! If you have any questions on this topic or need help with the process of breaking the addiction please feel free to send me an email or on Facebook. I am here to help you find the best, healthiest version of yourself! I will have to check out your post. It is really hard to quit, during my first few weeks of Paleo I found myself craving junk and white carbs. A few times I gave in and felt like crap for it. Once I made the choice to quit if for good, and gave it time it became easier and I feel "free" from sugar and cravings. I think that being paleo helps, because there are no grains at all. I love the focus on whole real food and how amazing I feel eating that way. You really can do it, feel free to stay in contact and write me on Facebook if you need help. Thanks for stopping by and reading! I'll have to check out that video! 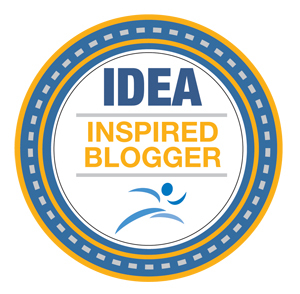 Have you heard about "Fed Up"? It's supposed to come out today but I don't think it's available in my area but it sounds similar….how the food industry could give two craps about your health, they just want to make money. It's sad but I think it's our responsibility to be our own advocate for our health! And I'm totally on board with the whole "diet" word-- when I say diet I'm simply referring to the food you eat not some 1000 calories starvation scheme. Amen girl! The video is powerful, Mark Pollan is great! Yes I have seen the trailers for it! I want to see it. The food industry is scary and I don't want what they are selling!! You are so right, we have to advocate for our health and our children's health, never before has our country been as sick as is it. Diet...yup what we eat is called our diet! We need to teach this concept to our kids to end the madness! Thanks for the support! !